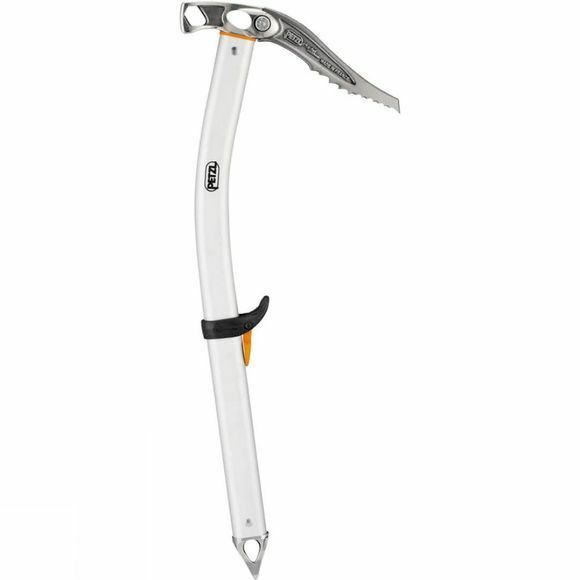 The Sum'tec Hammer is a versatile and lightweight compromise between a classic mountaineering ice axe and an ice climbing axe. It is easy to use in piolet-canne mode with its stainless steel spike and its slightly curved shaft. The Trigrest allows multiple hand grip possibilities thanks to the simple, tool-free manual adjustment system, and the lightly curved shaft protects your hand when climbing. The thin Alpix pick is designed for effective penetration into ice. It is quickly and securely replaced with a unique screw lock system. Wide oval holes in the head and in the spike facilitate clipping a karabiner.